Going out into nature and “getting away from it all” can be very therapeutic for those that need to take a step back from their work and home lives. It allows us to reset, and rejuvenates our minds and bodies. 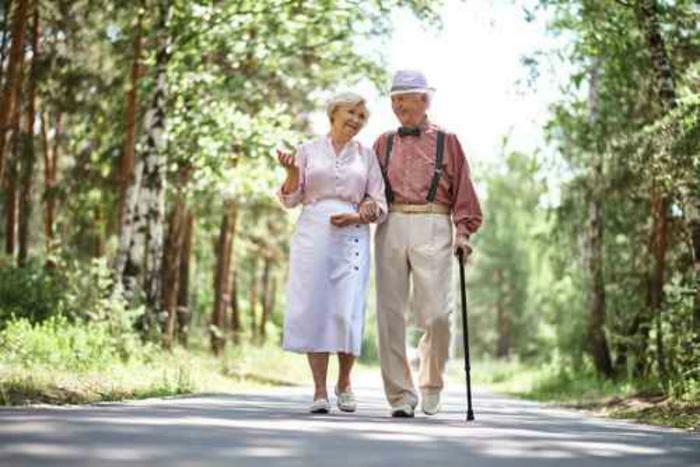 Recent research conducted at the University of Minnesota confirms these healing attributes, and states that nature can be particularly beneficial to the elderly. You don’t have to go for a long car trip or camp out in the woods to get the benefits of nature. Finding or adding some natural blue and green spaces nearby can be just as effective. These can be features such as ponds (manmade or otherwise), parks, gardens, or other public areas that offer views of flowers, grass, or water. Researchers found that these blue and green spaces encouraged feelings of renewal, restoration, and spiritual connectedness, which were especially strong in seniors. This may be due to the limited mobility issues that many elderly people face as they age. At a certain point it becomes harder and harder for older people to get out and do other things. These blue and green areas give them places where they can go to be social with friends, family, neighbors, or simply just to talk to other people. It also increases their overall health. "We zoomed in to everyday life for seniors between the ages of 65 and 86. We discovered how a relatively mundane experience, such as hearing the sound of water or a bee buzzing among flowers, can have a tremendous impact on overall health," said Jessica Finlay, who was the lead author of the study. By getting outside and visiting these areas, many seniors are getting the exercise they need in an otherwise sedentary lifestyle. It also gives them something to look forward to in order to break up the monotony of the day. "Accessibility to everyday green and blue spaces encourages seniors to simply get out the door. This in turn motivates them to be active physically, spiritually and socially, which can offset chronic illness, disability and isolation,” said Finlay. While simply visiting these areas can be beneficial, participating in activities that incorporate their natural features is even better. Seniors who take part in activities such as swimming, fishing, and hiking are doing even more to promote self-health. Finlay’s research paper, entitled “Therapeutic landscapes and wellbeing in later life: Impacts of blue and green spaces for older adults”, has been published in the journal Health and Place.